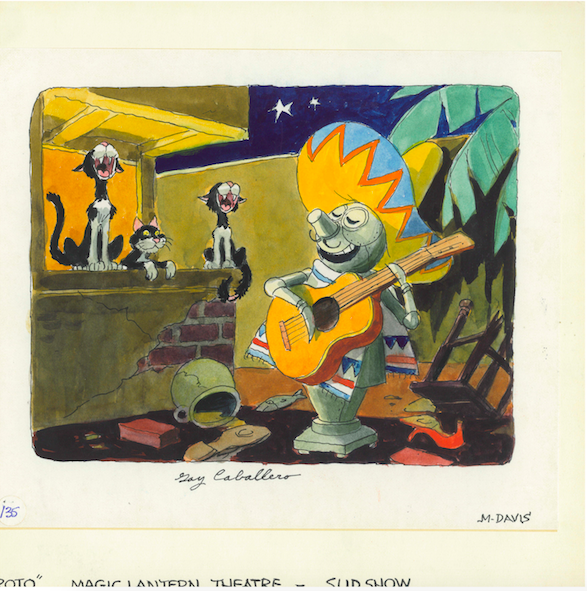 Some never-seen-before non-Disney artwork by Marc Davis has just been released on this site. (Thanks to Alain Littaye for the heads up). Great way to end the year. 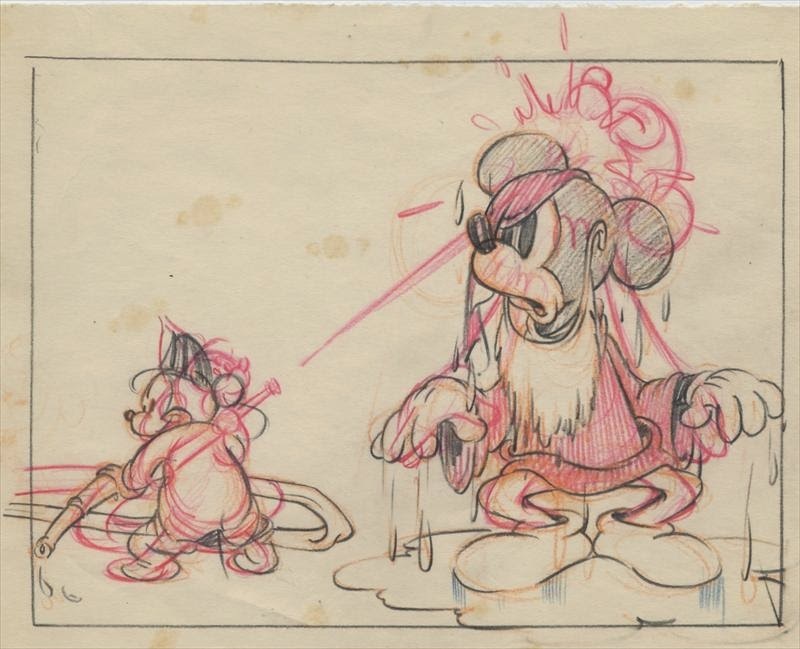 Fun storyboard drawing from the abandoned short Mickey's Nephews sold on HowardLowery.com recently. We're only two days away from the end of this campaign, but about $2000 down on the goal. 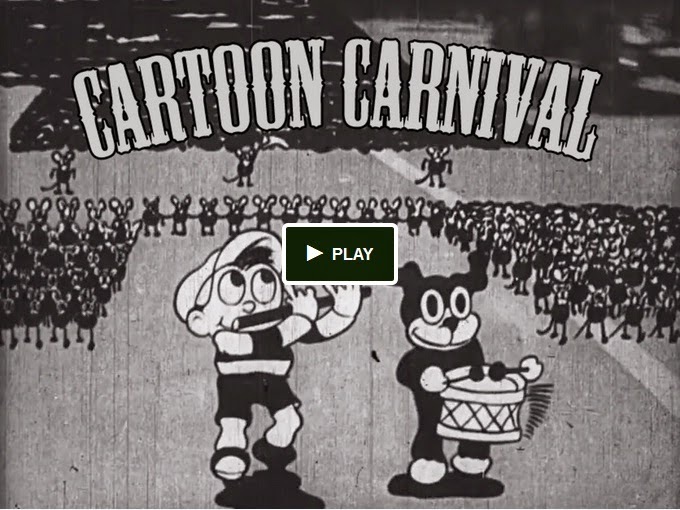 If you could circulate the http://tinyurl.com/cartooncarnival address as far as it could possibly go - and hopefully get some healthy support from people outside my own New York scene, I'd be really thrilled. Note that this isn't a Disney-related project... but any fans or scholars of early Disney films should look forward to what we hope to do here! This just in thanks to Jim Korkis and Al Heiden. The document was unearthed by my good friend and fellow Disney historian Todd James Pierce who is also serving as editor on the project. No better way to end the year than with news like this one. The blog will be updated again on December 23. 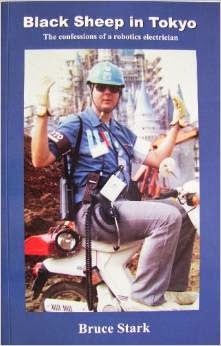 If you are interested in the history of Tokyo Disneyland and EPCOT, this new book looks intriguing. Here is a new book, that should definitely be added to my selection of best books of 2014. We are still working on a comprehensive index of the Walt's People book series, but in the meantime, if you are wondering which volume contains which interview, wonder no more: Harald Nast has integrated all that information in his excellent Disney Resource Index. 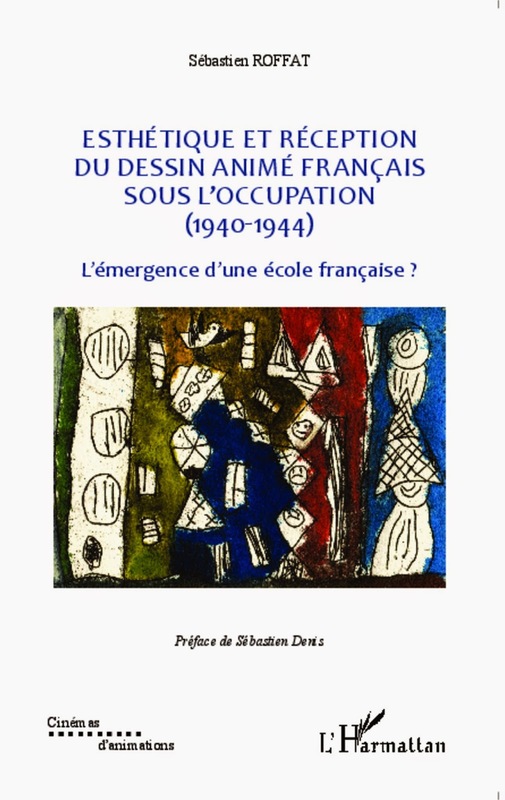 Once again, not really Disney-history related, but those who read French will want to know that the third volume in Sebastien Roffat's astounding series about the history of French animation has just been released and is available on Amazon.fr. This has become a tradition. Here is the list of what I feel are the best Disney history books of 2014, in no particular order. 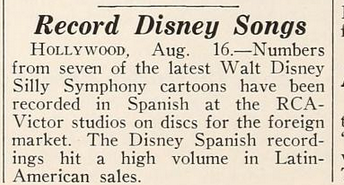 As always, I have refrained from including the latest two volumes of Walt's People (volumes 14 and 15). 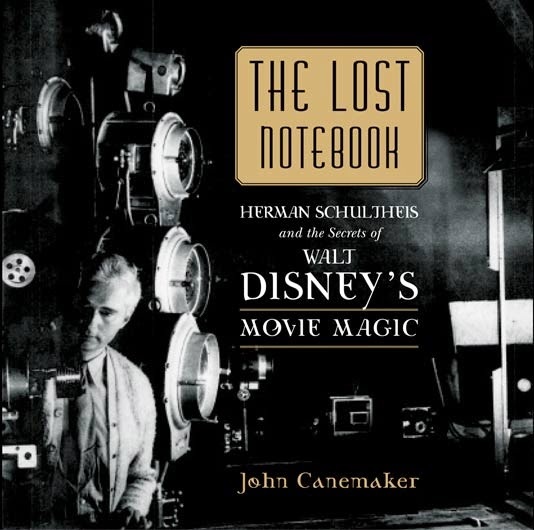 Canemaker, John: The Lost Notebook: Herman Schultheis & the Secrets of Walt Disney's Movie Magic published by Walt Disney Family Foundation Press; 2014. Brightman, Homer; Ghez, Didier (editor): Life in the Mouse House published by Theme Park Press; 2014. Smith, Lella (editor): Marc Davis: Walt Disney's Renaissance Man published by Disney Editions; 2014. Barrier, Michael: Funnybooks: The Improbable Glories of the Best American Comic Books published by University of California Press; 2014. Johnson, Jimmy (author); Ehrbar, Greg; Ghez, Didier (editors): Inside the Whimsy Works: My Life with Walt Disney Productions published by University Press of Mississippi; 2014. 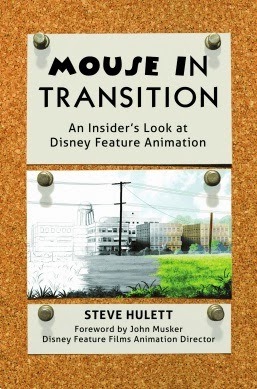 Hulett, Steve: Mouse in Transition: An Insider's Look at Disney Feature Animation published by Theme Park Press; 2014. Lesjak, David: Service with Character: The Disney Studios and World War II published by Theme Park Press; 2014. Apgar, Garry: A Mickey Mouse Reader published by University Press of Mississippi; 2014. 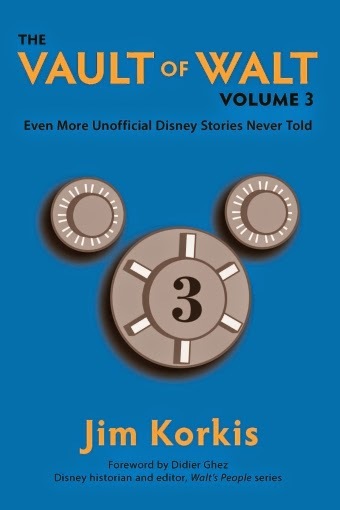 Korkis, Jim: The Vault of Walt: Volume 3: Even More Unofficial Disney Stories Never Told published by Theme Park Press; 2014. 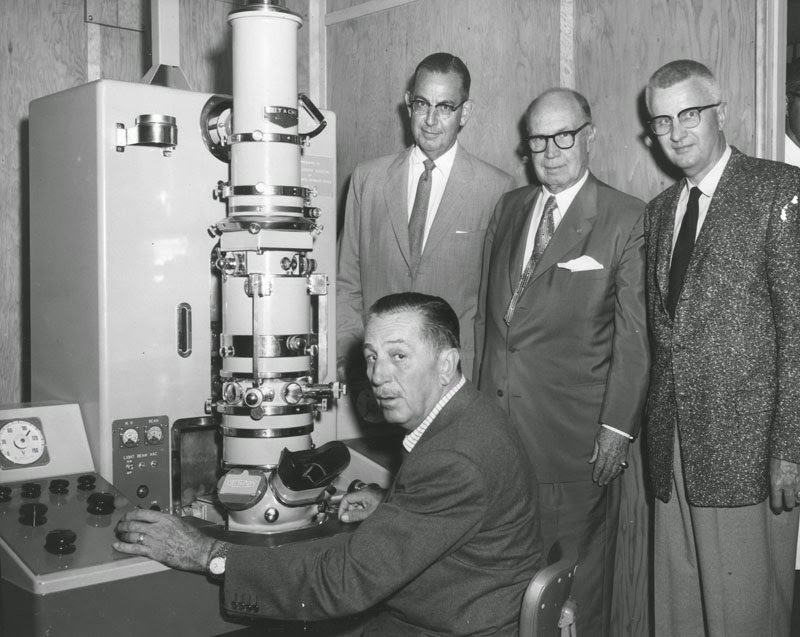 Just stumbled recently upon this great interview of George K. Whitney (left on the photo), Disneyland's 7th employee. Can't wait to read this upcoming book! A few years ago I wrote a series of articles for the magazine Tomart's Disneyana Update which discussed the history of Disney magazines all around the world before 1947, including those from Italy, France, Spain, the UK, Yugoslavia, Switzerland, Sweden and even Palestine. 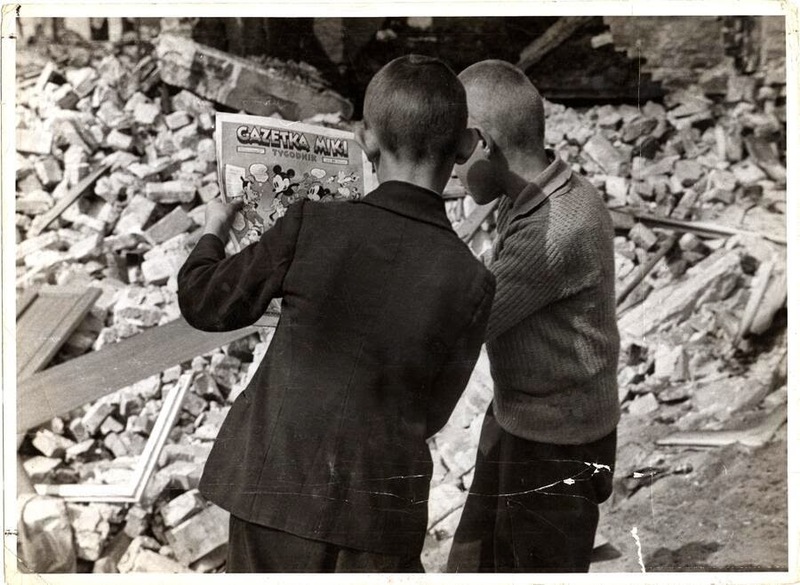 I realized yesterday, when I discovered the above photo, that I had overlooked one of them, the Polish magazine Gazetka Miki, which released 22 issues in 1939. I would love to understand much more about its history. Do we have any Polish readers here? Could you help me extract the relevant information from the article which can be found at this link? 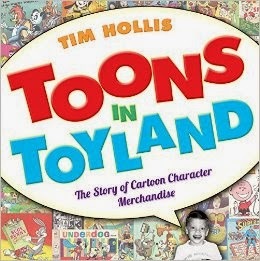 Granted, this is not directly Disney-related, but I stumbled a few weeks ago on this in-depth thesis about Paul Terry and I know that some of you will want to read it since it contains a lot of information I had never-seen-before about the early days of US animation. 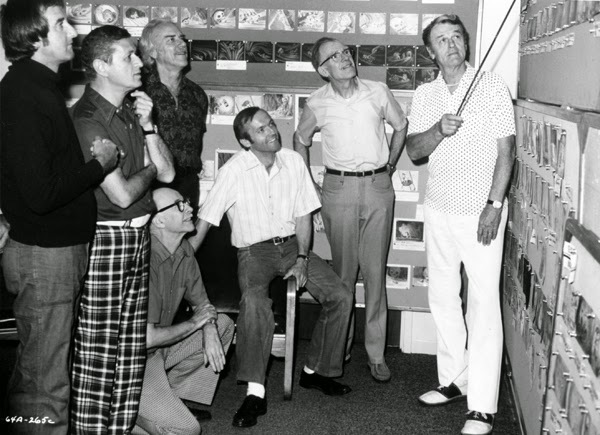 Not sure when that shot was taken (mid-'60s obviously, but that's about it) or what Walt was doing. The only thing we know is that he was paying a visit to Saint Joseph Hospital to check some of their equipment. The blog will be updated again next week. 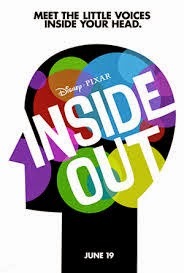 The Art of Inside Out is now available for pre-order on Amazon. I can't wait for this movie to be released. Truly spectacular auction coming soon. You can order the catalog here or download it here. The movie trailer looks horrible and I have a feeling that the movie is un-watchable, but I know that some of you will want to know that it has been released on DVD. 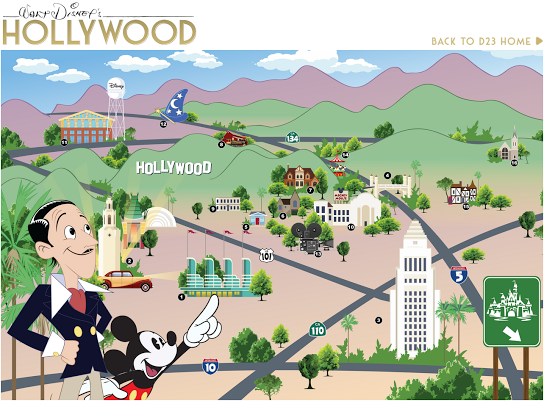 [Currently on the D23 website is an interactive map of "Walt Disney's Hollywood" with pop-up pics of sixteen structures or places intimately associated with the master. Among Walt's "old Hollywood haunts" are three of the four houses he lived in between 1923 and the early 1950s. The fourth and final Disney domicile on Carolwood Drive, in Holmby Hills, has been torn down. But "Walt's Barn," originally situated on the estate, is on the map (#16). 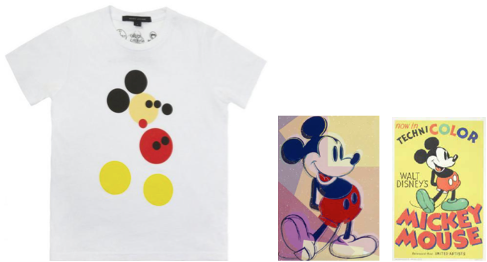 The artwork includes a nifty caricature of Walt and one of the better modern-day, studio-sanctioned, "on model" images of the classic Mickey Mouse. The drawing on the map (#11) standing in for the Burbank studio depicts the whimsical, post-Walt Team Disney Building, designed by Michael Graves, and featuring caryatids (as on an ancient Greek temple) in the form of the Seven Dwarfs. I was extremely sad to learn last week that editor and Disney historian Edward Summer had passed away. 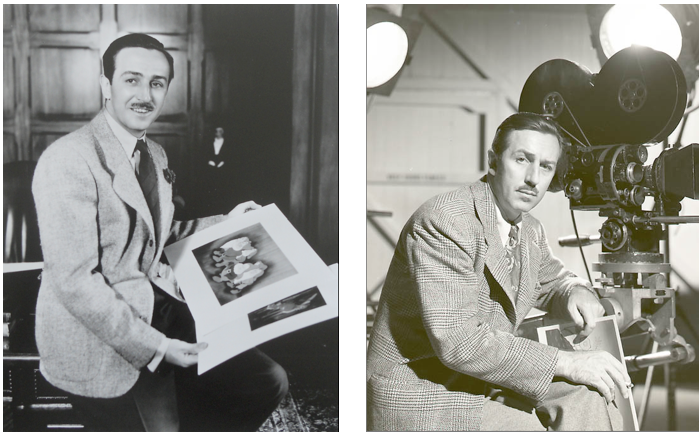 Some of his interviews will Disney artists will appear in future volumes of Walt's People. The blog will be updated again on Monday, November 17. 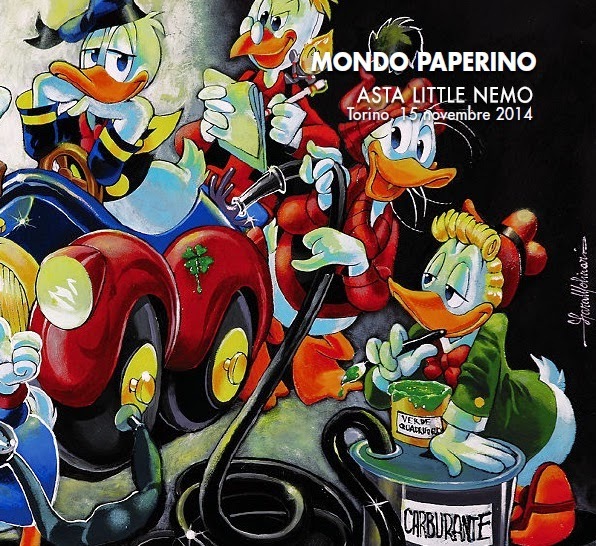 The beautiful catalog of the Italian Mondo Paperino auction is now available for download. You can also puchase a physical copy by following this link. [This year marks the 25th anniversary of the fall of the Berlin Wall. The next day — by happy coincidence, the anniversary of Armistice Day, November 11th — something extraordinary happened in terms of the intersection of global politics and culture. 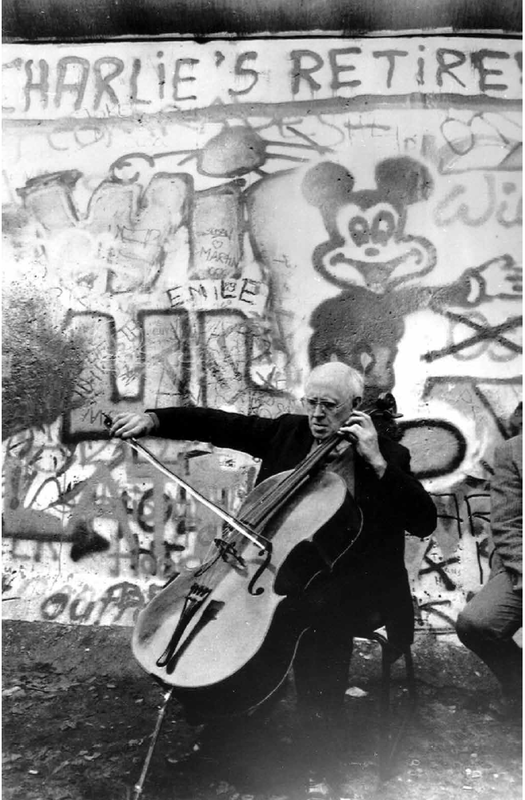 With James Le’s Mickey looming over his shoulder, the Russian émigré Mstislav Rostropovich celebrated the historic occasion with an impromptu performance of Bach’s Suites for Cello, culminating in the solemn fourth movement or Sarabande from Suite No. 2. Rostropovich must have delighted in the company of Walt Disney’s cheery exemplar of freedom. He could easily have repositioned his chair if he didn’t wish to be seated or be seen near that iconic emblem of America and the American spirit, Mickey Mouse. 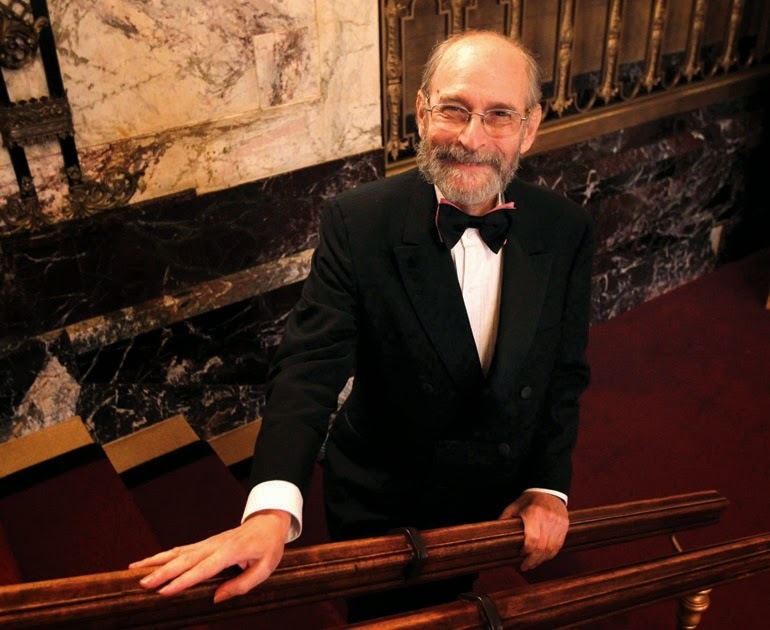 "final encore, he chose an American classic, John Philip Sousa's rousing 'Stars and Stripes Forever,' the traditional finale of the National Symphony’s annual Fourth-of-July concert on the West Lawn of the Capitol in Washington. The Moscow audience responded with a standing ovation. Later, amidst bear hugs and vodka toasts at a post-concert reception at the U.S. Embassy, Rostropovich was asked why he’d picked the 'Stars and Stripes Forever.' The idea, he said, came 'from the heart.'" 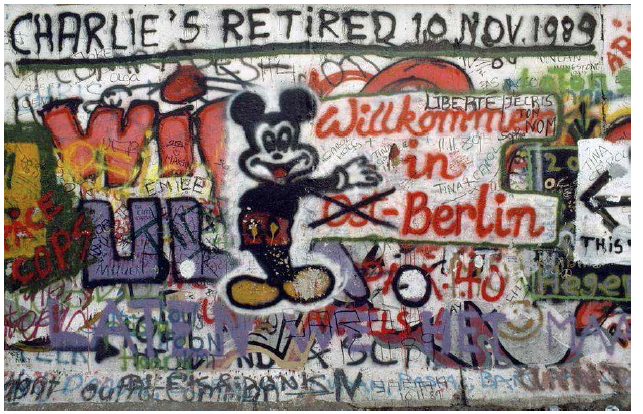 Just as, one may suppose, the idea of combining Bach and the liberation of East Berlin with Mickey Mouse came from the heart. Walt's People - Volume 15 has just been released by Theme Park Press. As you will see by checking out the table of contents below, it contains some extremely exciting interviews! Whether you are fan of animation, of the comic books or of the parks, I believe you will all enjoy it. EMC West: Guy Williams Jr. 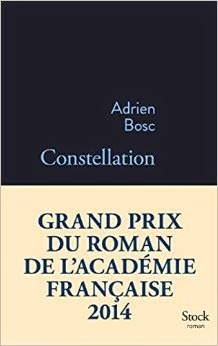 The weirdest Disney-history-related book that I have heard of in recent years must be the new French novel Constellation by Adrien Bosc, which recently won the very prestigious Grand Prix du Roman de l'Académie Française. The novel is centered around the crash of the Air France plane Constellation on October 27, 1949 and the passengers that were on board. 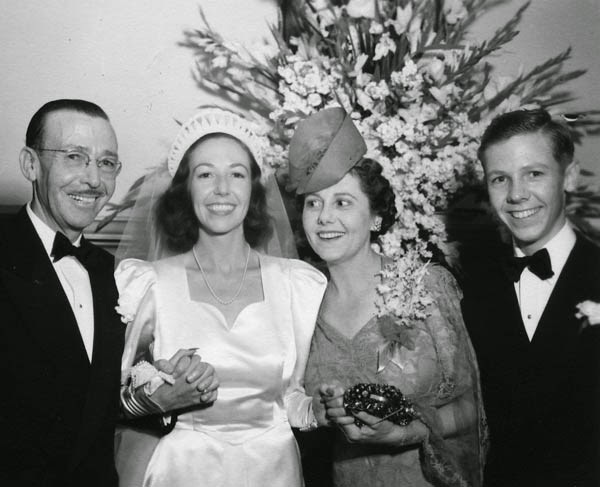 One of them, of course, was none other than Kay Kamen (with his wife). I have not yet read the book, but I will do so, obviously. (Thanks to Sebastien Durand for the heads up). 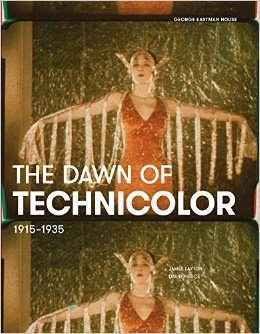 Finally a book about the early days of Technicolor, which apparently will also study the early relashionship of Technicolor and Disney. The book should be released in February next year according to Amazon. 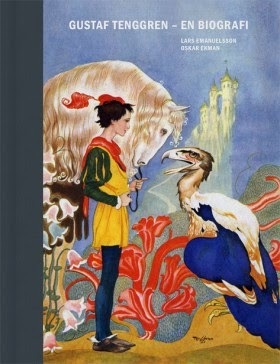 The long awaited biography of Gustaf Tenggren by Lars Emanuelsson (in Swedish) will finally be released in two weeks. I can't wait to get it to enjoy the illustrations. An English version might be released in a few years, but there are no concrete plans for the moment. I will be discussing quite a few off-the-beaten-path books this week, starting with George Gallup in Hollywood. You can't study the history of Disney from the '50s onwards without encountering the concept of research about upcoming movies conducted for Disney by ARI (Audience Research Institute). A good friend made me discover recently George Gallup in Hollywood, which contains a 20-page chapter about the history of ARI and Disney based on documents that I had never heard of before. This is clearly a book for specialists, but if the subject interests you, this is a "must-have." Another really beautiful day with the release by Michael Barrier of his second interview with Frank and Ollie. Getting access to Mike's interviews is revolutionary and promises to help us understand Disney History as never before. 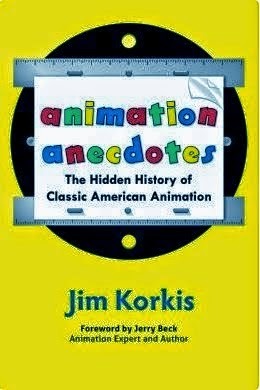 I also had the pleasure of getting Animation Anecdotes by Jim Korkis and was delighted to find in it a long chapter filled with Disney stories. The book is a real treasure and a must have from my standpoint. One key frustration however (as in all of Jim's books) is the lack of endnotes to identify the sources of the information. I have been conducting research about Disney history for over twenty five years and that truth is unavoidable. Whatever the subject matter that you are investigating, Jim Korkis has already written about it. 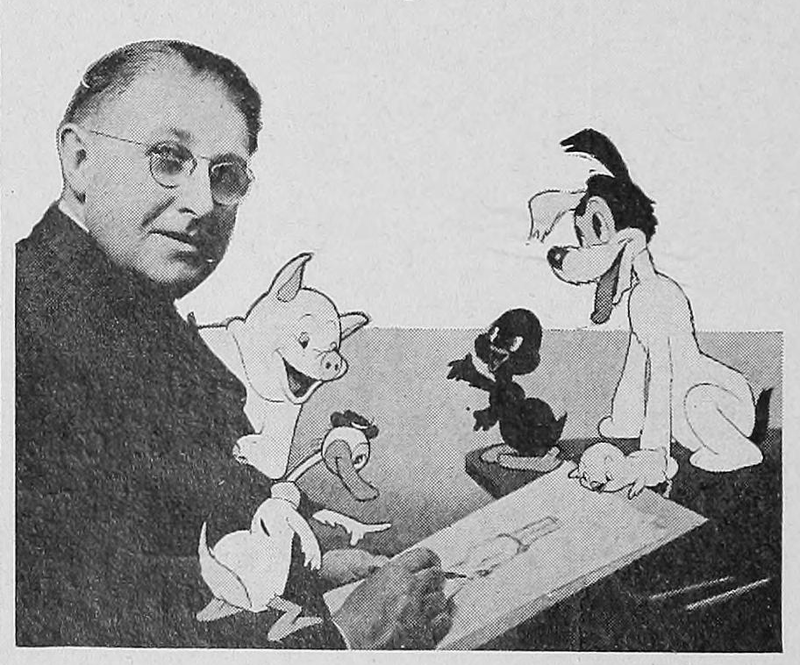 At some point I became interested in understanding more about the highly stylized commercials that the Disney Studio produced in the ‘50s and soon discovered that Jim Korkis had already discussed this obscure subject in one of his essays. Reading Jim’s article led me to interview artist Bob Carlson in order to learn even more about those odd cartoons. A few months later I was trying to get a better sense of who Walt’s secretaries had been. You guessed it: Jim had written about this too, which helped me understand several internal Disney memos I was reading at the time. And then, there were instances in which Jim made me aware of a field of research which I never even knew existed, as was the case with the Disney comics drawn in the mid-‘30s by artist Fred Spencer for the DeMolay youth organization. Thanks to Jim’s article, fellow Disney historian David Gerstein and I were able to locate, for the first time, a complete run of those rare comic strips. 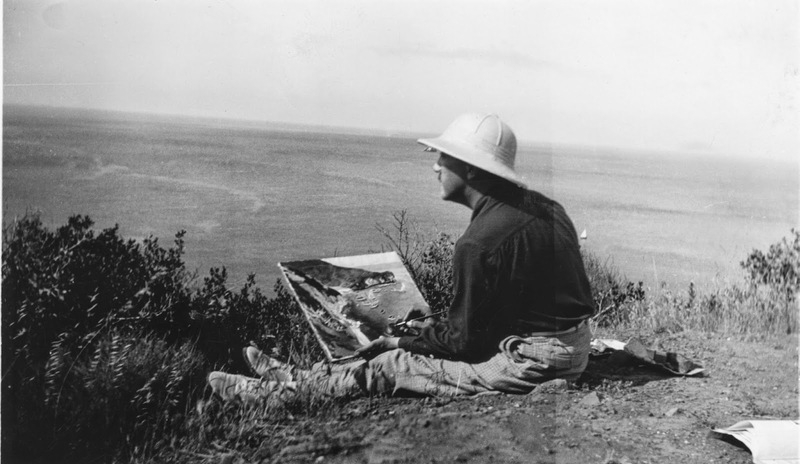 What I find fascinating about Jim’s articles, aside from the tremendous scope of the subjects he explores, is the fact that they contain elements of interest both for the in-depth historians and for the casual fans. They are the best bridge between those two worlds which confers them a very unique value. 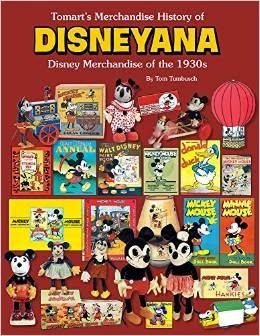 We desperately need new generations of Disney historians and Jim’s highly readable essays are the perfect tool to intrigue, excite and motivate enthusiasts who through hard work, dedication, and focus could become historians. After all, I know this is the case since I once was one of those Disney enthusiasts. 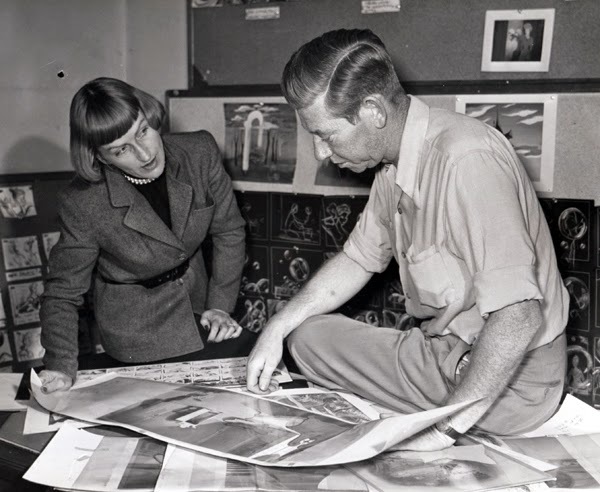 Jim’s essays are critically important for another reason: they help preserve little known nuggets of Disney history, rare interviews, obscure articles and other gems that would be lost forever or extremely difficult to access without his efforts. To top it all, Jim has been a friend for over ten years. He is the godfather of the Walt’s People book series, which saw the light of day thanks to a long exchange of emails between the two of us. 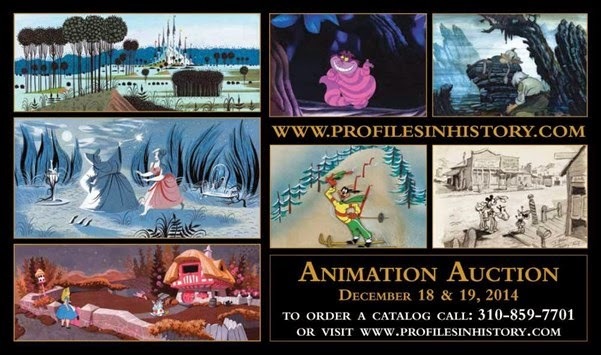 And we have teamed up often to interview Disney artists and other Disney Legends. So there is joy when I hear that a new volume of The Vault of Walt is in the works, there is delight when I read Jim’s latest online column and there is hope that The Vault of Walt series will one day fill a whole bookshelf. 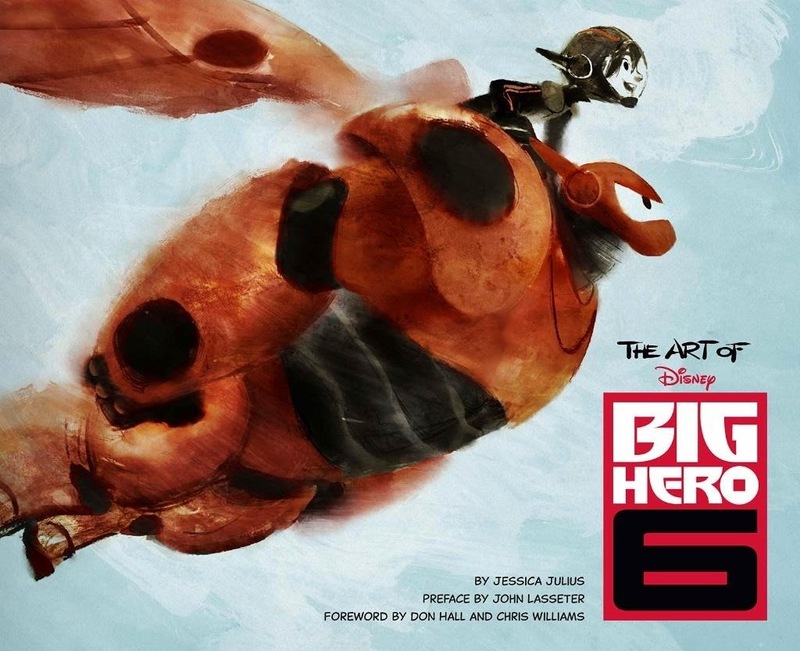 I love Chronicle Books' "art of" series (no wonder they were the ones I approached to release my own book series They Drew As They Pleased) and The Art of Big Hero 6 is no exception. It's a gorgeous book filled with - to my eyes - wonderful artwork. I love the concept of a mix between San Francisco and Tokyo and I admit that I am now more curious than ever about this movie, although the upcoming animated feature I am most looking forward to seeing remains Inside Out by Pete Docter. In summary: If you liked the other volumes in Chronicle Books series, you will enjoy this one too. Joy! Today is a beautiful day: Michael Barrier is starting to post interviews again on his web site. Not to be missed! I can't wait to pick up this book, which will be released by Tomart Publications in a few weeks. 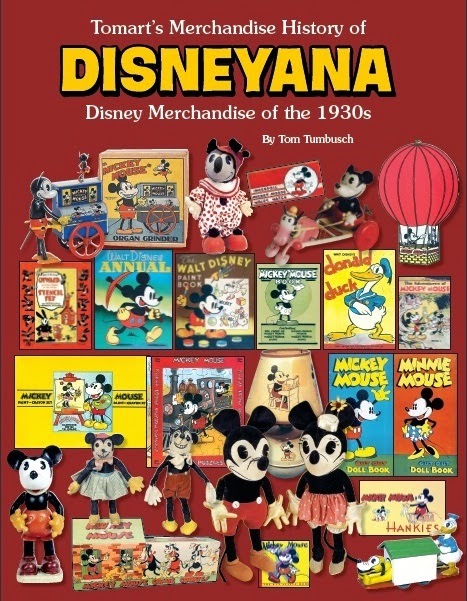 According to Tom Tumbush it will contain tons of new information about the history of Disney merchandizing in the '30s. In addition I just learned that unbeknownst to me issues 77, 78 and 79 of the magazine Tomart's Disneyana Update have been released over the past few months. I just gor my copies and they are as good as always, especially issue 77 which contains a profile of Kay Kamen's artist Lou Lispi. 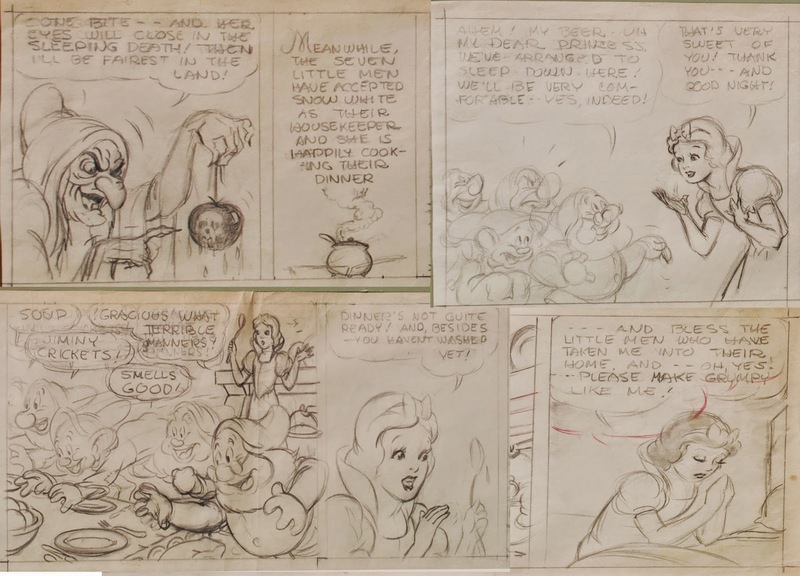 A incredible series of preparatory drawings by artist Hank Porter for the Snow White comic book are currently being sold by One of a Kind Collectibles Auctions. A million thanks to Amid Amidi from CartoonBrew for the heads up. 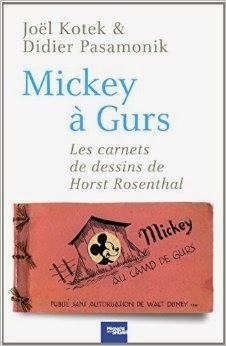 Seven years ago, I posted about a Mickey Mouse comic book written and drawn by a French POW during WWII. Since then I had always wanted to read that comic book. Thankfully we will be able to do so soon, since it will be released in book form next month. I love those off-the-beaten-path documents and am extremely excited about this one. 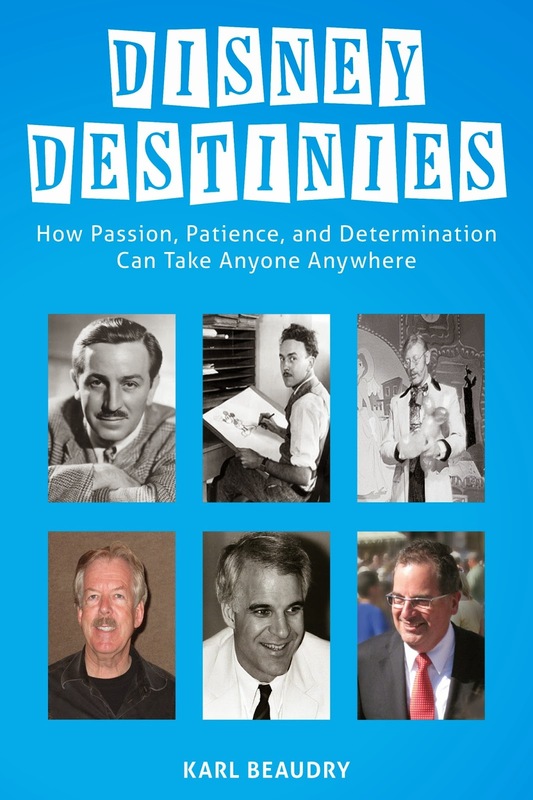 I had the pleasure of getting a review copy of the book Disney Destinies released recently by Theme Park Press. 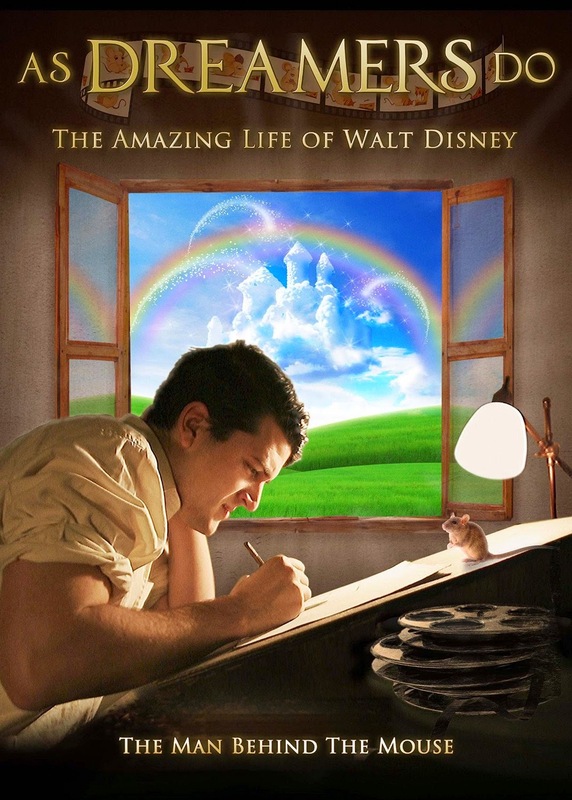 It's a good book, but it is a light book and a book aimed at "beginners", not at Disney historians. 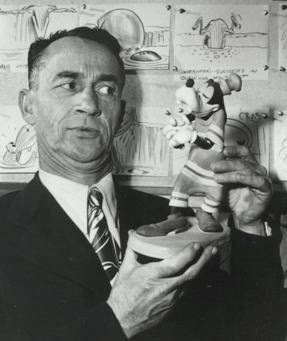 Not a lot was new from my standpoint but I especially enjoyed the short biographies of George Kalogridis and Vesey Walker who were Disney people I had not heard about before. 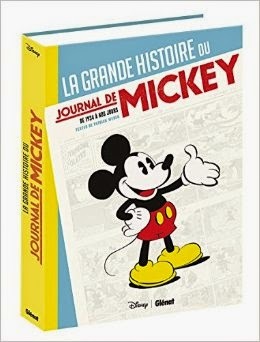 This new book, in French about the history of the Journal de Mickey has been released today. I have not had a chance to see it as my plane left Paris for Miami yesterday. I will order it on Amazon.fr and let you know what it is worth when I get it. The blog will be updated again on October 23. 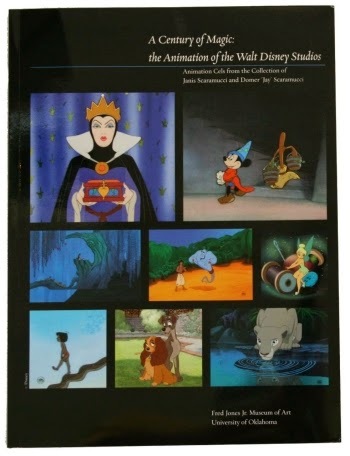 Amazon just listed two books that I am looking forward to getting next year: An Animator's Gallery: Eric Goldberg Draws the Disney Characters and Walt Disney's Mickey Mouse Vol. 7: "March Of The Zombies". The Kindle editions of both Animation Anecdotes and Vault of Walt Volume 3 are now up at Amazon. And on Saturday, November 8, Jim Korkis will be the guest speaker at the Disney Family Museum in San Francisco speaking about Walt Disney's work with Wernher von Braun on the three Disney outer space television shows produced in the 1950s for Walt's weekly television program. You can find out more information at the museum website. 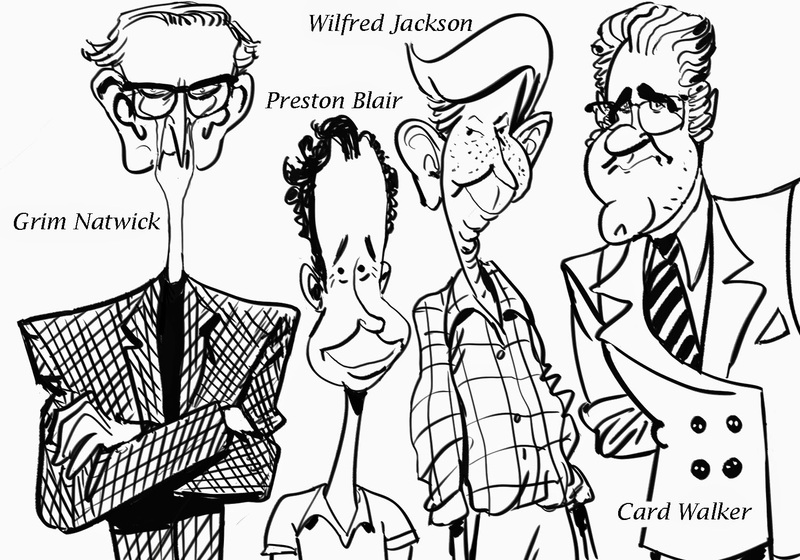 For more info about Animation Anecdotes, check this article. Good news: Walt's People - Volume 15 was sent to the publisher last week and should be available at some point within the next two months. Once again, I love the caricatures that John Musker created for the cover!